Write-Error "The VM should be powered off and have no snapshots"
Line 24-30: The definition of the parameters for the function. Note that the function doesn’t use any of the advanced features, nor pipeline input. Since I use this function in my homelab, I found functionality more important than good coding style 😉 And the function name itself doesn’t comply with the approved verbs either. Line 33-36: The function tests if the master VM is powered on or has snapshots. In that case the function returns immediately. It seems that copying a VM that has snapshots, can have an impact on the functioning of the cloned VM (see KB1000936). Line 38-40: Get the managers via the ServiceInstance. Remember, no vCenter ! Line 42-46: Retrieve and/or compose the values that are required later in the function. Line 47,53-54: The function uses the HostDatastoreBrowser to find all VMDK files. Line 59-80: These lines make sure that the VirtualDisk type of each vDisk in the master VM, is also used in the corresponding vDisk in the cloned VM. Line 81: The actual copy of the vDisk from the master to the clone. Line 88: There is no need to copy the .vmdk (already done), the .log and the .vmsd (no snapshots remember) files to the clone. Line 89: It seems that some PowerCLI builds have a problem when the Item object is passed over the pipeline to the Copy-DatastoreItem cmdlet. To bypass this problem, the function uses a ForEach loop and specifies the Item object on the cmdlet explicitly. Line 95,101: To update the .vmx and .vmxf files, the function copies both files to a Temp folder on the station where the script is running. This is to bypass the “cannot open file” problem when updating a file in place. Line 110: The ESXi server will see that the clone has been moved or copied when we try to start the VM. The Set-VMQuestion selects the “copied” answer, which is the default. The function is quite easy to use. Note that the cloned VM will not be customised ! It will have the same configuration as the master VM from which it was cloned. The guest OS customisation, as can be done through the OSCustomizationSpec when there is a vCenter, is the subject for another post in this series. What I normally do is to prepare my master with everything that I want to have on the cloned VMs. 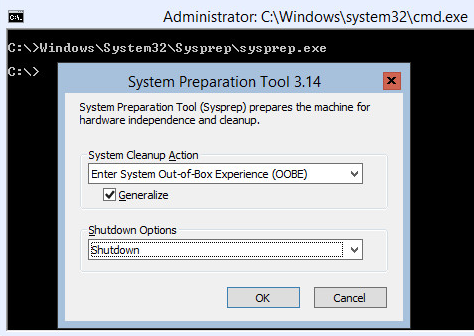 And then I run sysprep with the Shutdown option. 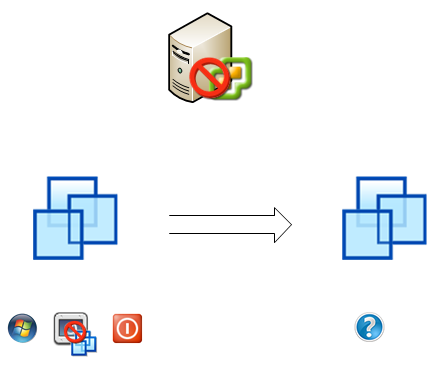 When the cloned VM is started, it will start with the mini-setup. Get-ChildItem : Cannot find path ‘\LastConnectedVCenterServer\ha-datacenter\DataStore2\Win10 10 Client’ because it does not exist. I would need to know a bit more about the environment in which you are trying to run the script. Feel free to use the Contact Form to send me some more information (and some eventual screenshots). From the error I get the impression you are connected to a vCenter, while the script assumes you are connected directly to an ESXi node. This worked perfect ! I have tried others code but they didn’t work for me. This was perfect. I did have to look up how to use the switch since I don’t write functions yet in PS. For others like myself add these to the end of your “Clone-MasterVM” command to register the VM, and or power it on. Hi LucD – I’m trying to run this script on esxi 6.0, does this script works on 6.0 , do you have any latest script for 6.0. From the error message it looks as if you might be using a so-called “free ESXi” license. This license has some limitations, one of them being that you cannot make changes to the environment with PowerCLI. You can only use PowerCLI in “read mode” I’m afraid. Although I normally don’t condone running scripts in the ESXi BusyBox, this is a nice port and handy for a lab environment. Do you any possible ways to do a storage vMotion of VM from one datastore to another without using the vCenter.? Hi William, the script is a function, did you call the function in that .ps1 file ? There is a sample call of the function near the end of this post. How do I specify the server to perform this procedure in, and the credentials to do so? @JDShots, you will need to be connected to an ESXi server. Of course you will need to change the hostname and the credentials to reflect your environment. Is there a way to download your script? Hi JDShots, when you double-click in the code block, all the code will be highlighted. You should then be able to do a copy/paste from the browser to your editor. Would you prefer to have all the scripts available as file downloads as well ? Hello, Luc! Thanks for the post. I’m trying to write my own version with hot cloning capabilities. Thanks for the script. Is this also a supported method for cloning a VM in a production environment? Thanks! Hi Frank, I’m not sure that this method is officially supported by VMware. Although it uses public API and does an edit of the VMX file, I’m not sure what the official stance of VMware on this is. It would be best to ask for confirmation from VMware Support before you consider using this in a production environment. useful script for work in Home!! just realize Service Instance is bigger thing thn i thought if all its contents can be use with standalone esxi as it can be use with vCenter; Can it be??? The ServiceInstance is indeed available on any vSphere server, beit a vCenter or an ESXi server. Note that some properties will not be available for all vSphere servers. For example the OptionManager. Thanks, I hope to post some more articles in this series in the coming weeks.